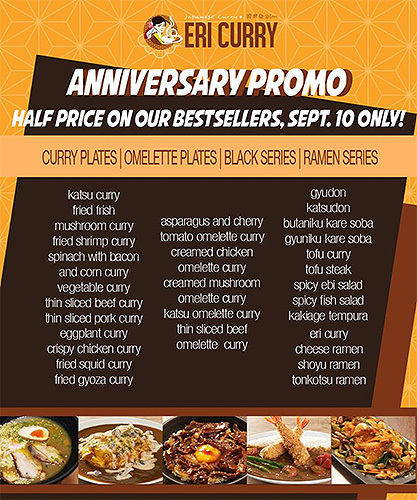 (SPOT.ph) Today, September 10, is Eri Curry’s first anniversary and as far as restaurant birthdays go, they’re giving us a crazy-awesome deal. The curry haven is slashing 50% off the price of everything from the Curry Plates, Ramen Series, Omelette Plates, and Black Series sections. Sorry, sushi items didn’t make the cut. 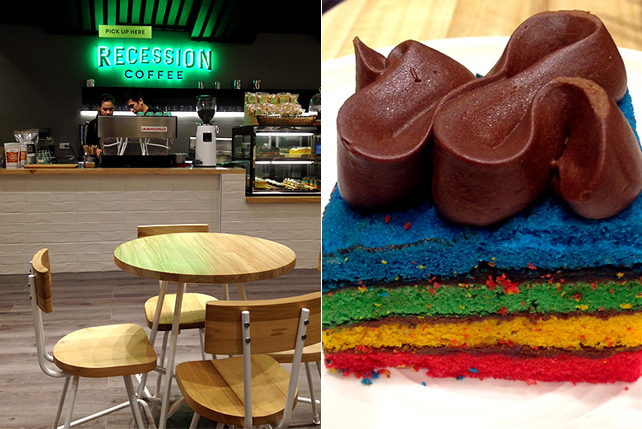 The discount is available from opening till closing. 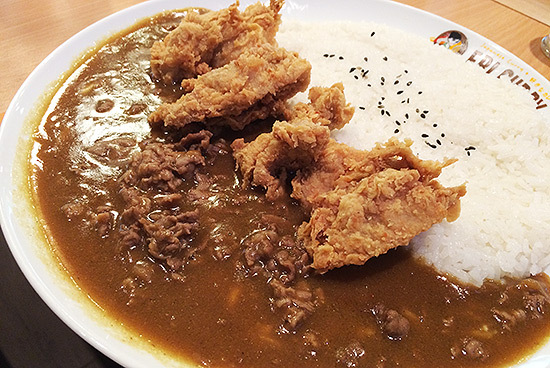 Home-grown Eri Curry is a delicious look at the Japanese style of enjoying curry. 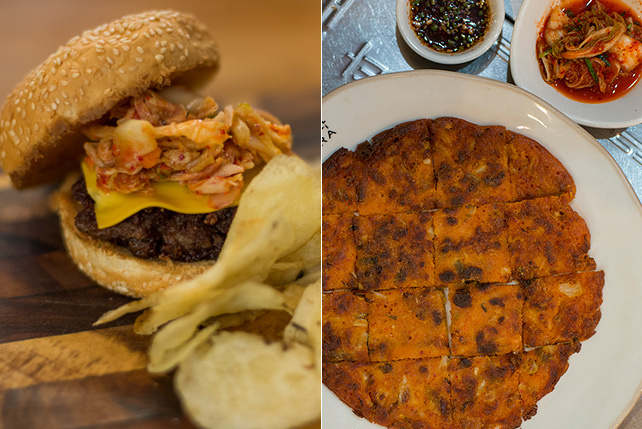 The chef, Erica Bagang, grew up in Japan. She makes her deeply spiced and fragrant curry from scratch every day via a closely guarded secret recipe (seriously, only she knows what’s inside that magical pot). That concoction is then poured over rice and topped with the customer’s choice of meats, sausages, veggies, eggs, and/or more. Underneath everything is creamy mozzarella. It follows the format of most curry chains in Japan—rice and heat levels are customizable and “toppings” may be mixed and matched. Curry not your thing? They have ramen and salad, too. Eri Curry is at 3/F The Atrium, SM Megamall, Mandaluyong City. Read more about Eri Curry.